Well today is the last day of being 23 years old and it’s been a fun day and I’m sad that I have to turn a year older tomorrow. Today I took my son to Greenhead Park they have got out a big sand pit what is there till the end of the week. 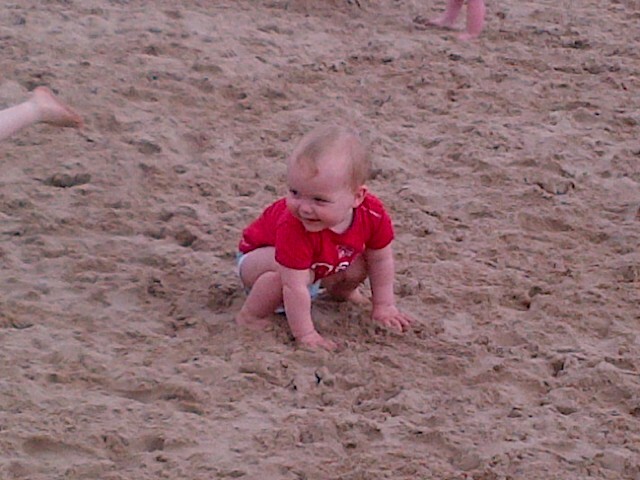 It was the first time Liam has seen and played in sand (even tried to eat it). He was running around and smiling and even I was building sand castles what my son thought it would be funny to keep kicking it down. Oh and we also saw the duckies and Liam loved that to. We stayed for 2hours and when we got home Liam was fast asleep :].